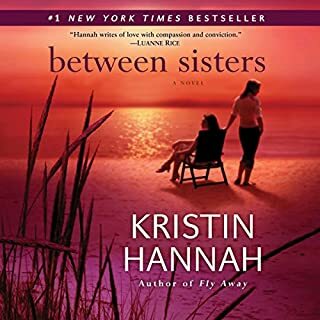 ©1996 Kristin Hannah (P)2010 Brilliance Audio, Inc. This is a great story, the people in this story will grab you. She puts hearts and souls in the people on the pages. I cried almost all the way through it. 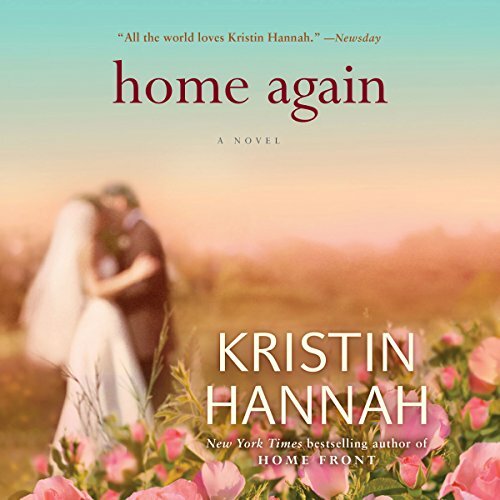 If you could sum up Home Again in three words, what would they be? Francis, all you need to do is open you eye's and see the good everything he brings to life. Magdelaine so strong and willing to do anything to reach and help those she loves. Asking for nothing, Wants only the best for her family, and looking after all these years of raising a child on her own, she stands for a lot of us women that endured what she did and still standing today. yes, and I went to bed with tears after reading it. Good and bad. This will bring real life to your door steps. It's not what you expected, but neither is life. To many times we get caught up in books that take us far away from this. But then we need to see how people handle what we deal with almost everyday. Sometimes I think people that are larger than life are out of touch with reality. After this, I don't think so. It's happened to us all. This is a A teenager out to show you she knows it all, a hard working single mother and a the father showing up when he don't want to be a part of his home town life, and his brother, all smiles and willing to do anything to bring it all in front of their eyes. And he does. . Expect your emotions to be torn here, bring out tissues and all of us has been thru this. 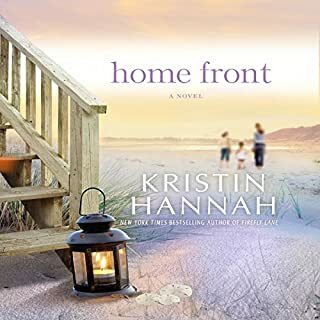 the way it's narrated was so remarkable, it helped me at least understand why everyone did was needed at the time and what they had to in this family. All families deal with trauma that leaves us with life altering decisions. It's all here, hate,love, understanding and mostly sacrifice. I loved this book and I cried many times knowing it hurt to lose someone you care so deeply for. But in the end we are given something more in return. They never leave us..They see us thru so much in a round about way. Read it. It's worth it.. I promise you. it's worth it and cry and enjoy this little book of wondrous joy it brings. I warned you.. it's excellent to read, but bring out the tissue box. It's life they are dealing with. What we experience day to day at times. I would of gave it 5 stars, but at times, I think it should of just moved on. I cried for them to heal and they should of earlier. CANNOT COMPARE TO THE NIGHTINGALE! Disappointing as I listened to the Nighingale and it was amazing! This story reminded me of a harlequin romance. would reccmend to anyone. A story to hold in your heart for a long time.really enjoyed a sweet love story. 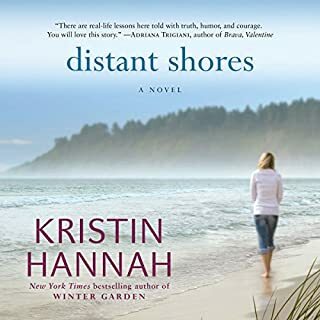 We absolutely have become a big fan of Kristin Hannah. 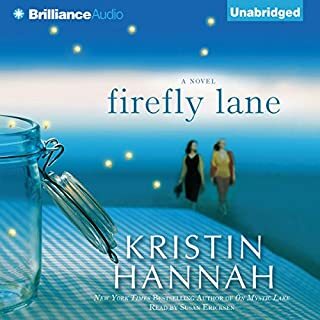 My mother loves to read and I drive alot so the audible is perfect to me. Since buying her books I want to drive all night and my mother doesn't sleep. All of her books are that good. I would highly recommend any of them. Thank you for each of your books that has us both sitting on the edge of our seats . 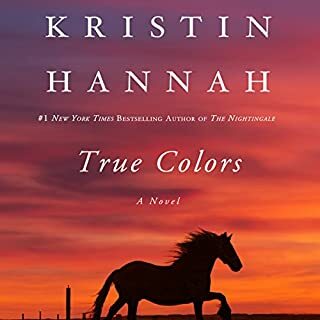 I love Kristen Hannah, but was a little disappointed with this book. I struggled so hard to connect with the characters, but I did end up finishing it. Great story of family struggle is conquered with hard work, struggle, & truth. 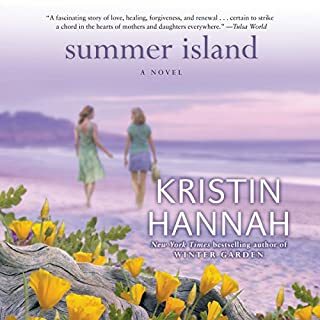 Hannah has an incredible talent of stringing together characters & events to feel as tho it's real life. I love the idea that our loved ones are never really gone but rather watching/guiding from beyond. I did not enjoy this book. I would not recommend it. It was too predictable and milk toast. I would not recommend this book. Absolutely loved it. Highly recommend. Wonderful story. Hard to put down. This one is a must read. Predictable to a flaw. Loved all her others, this one just meh. C’est la vie.